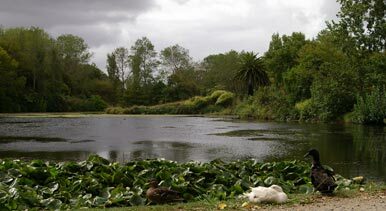 Named after the Battle of Moutoa Island in the Second Taranaki War in 1864, the Park contains a memorial to the battle. Historically, Pakaitore was a traditional fi shing settlement for hundreds of years and later became a marketplace. Overlooked from the District Courthouse, these quiet gardens contain mature native and exotic trees, and several memorials. Fun and exciting activities that your children will enjoy. 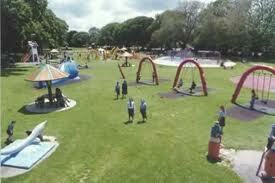 Kowhai Park is the most unique children's park in New Zealand and is located on the banks of the Anzac Parade, Whanganui River. 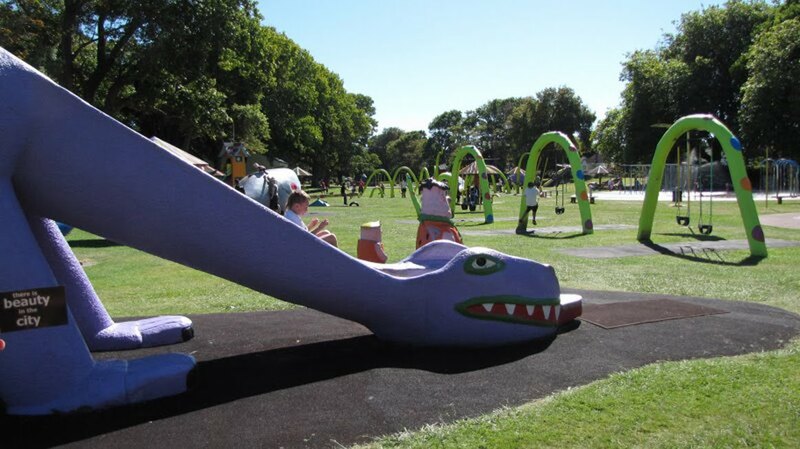 Kowhai Park has some of the most imaginative playground equipment. There are several slides, but none of them are conventional, turtles to sit on, toadstool picnic tables, Humpty Dumpty’s wall to fall off, rocket ships, mountains, Miss Muffet and a greebly looking spider, complete with swings for toddlers hanging from its legs, a skating rink, waterplay fountains for hot days, the large pumpkin with 2 BBQ's inside, the fort with flying fox, the mini-train rides, castle, antarctic playground and the massive skate/bike park. The cultural centre of Whanganui, Queens Park is home to the iconic Sarjeant Gallery, housing a nationally significant art collection, Whanganui Regional Museum, the Alexander Heritage Library, the Davis Central City Library and the War Memorial Centre and Veterans Steps. 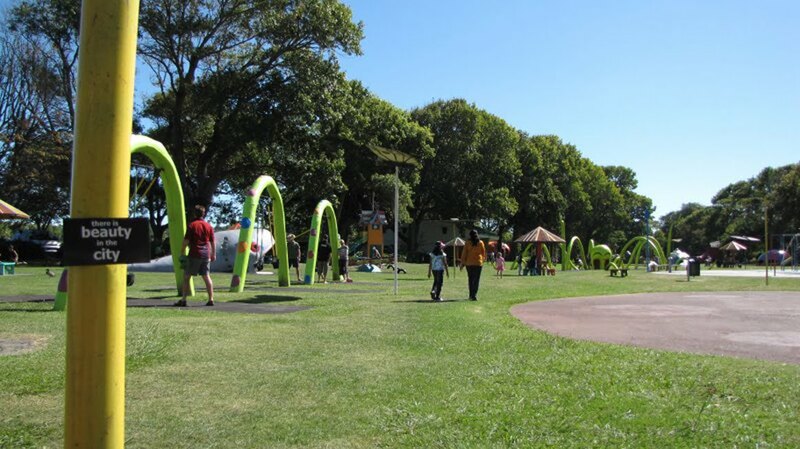 Surrounding the Queens Park buildings are green open spaces ideal for a picnic and to view the river and central city area. Queens Park is also home to Handspan, a tactile sculpture celebrating peace and featuring 4000 individual handprints. 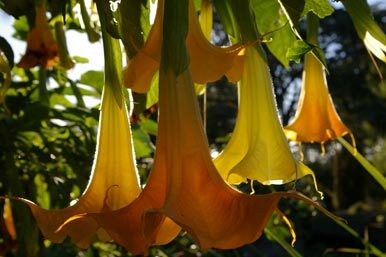 It should be a botanic garden focussing on collection, conservation and preservation of rare plants while providing a peaceful and beautiful place for people to enjoy and relax' – Stanley Bason's dream. Something of interest every month of the year. 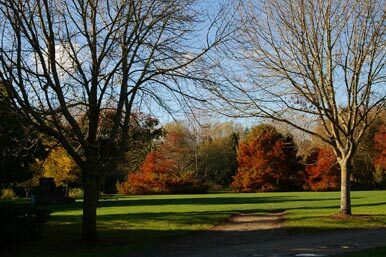 Recognised by the NZ Gardens Trust as a 'Garden of Significance', the Bason Botanic Gardens is set in 25 hectares of landscaped countryside and includes one of the most extensive public garden orchid collections in NZ and unique conservatory architecture. 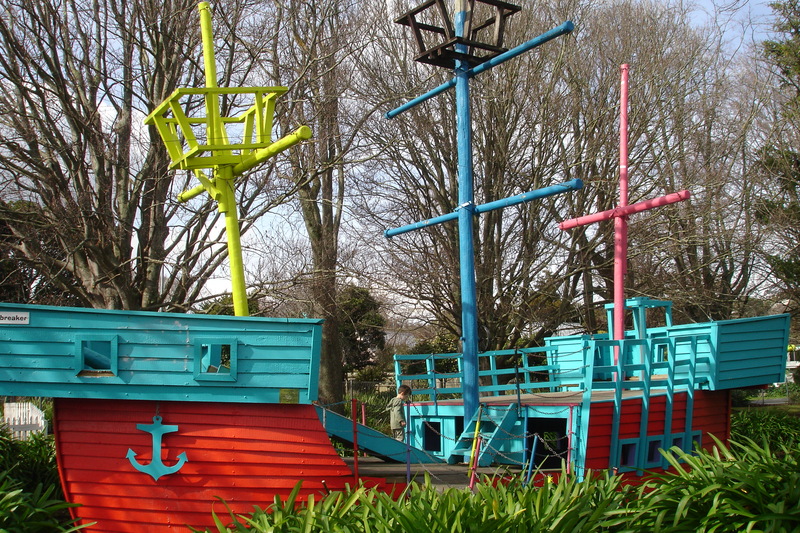 The Gardens are situated on the Central West coast of New Zealand just northwest of Wanganui, a provincial city rich in heritage and alive with the arts. 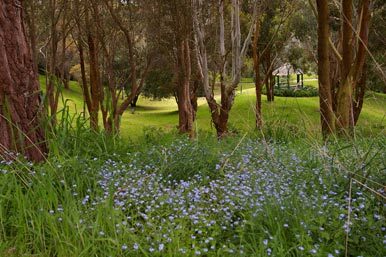 This region has many gardens and reserves well worth a visit.